The Bay Democrats, under the leadership of 45th Assembly Democratic District Leaders Ari Kagan and Rita Kagan (Sheepshead Bay, Manhattan Beach, Brighton Beach, Midwood) honored the community’s Jewish leaders with plaques and donations to their organizations at their monthly last week. Also attending the event were City Council Members Chaim Deutsch (D-Sheepshead Bay, Manhattan Beach, Bighton Beach, Homecrest, Midwood) and Kalman Yeger (D-Boro Park, Midwood, Flatbush) and neighboring Democratic District Leaders David Schwartz (48thAD) and Jacob Gold (44th AD), along with community leaders including Flatbush Shomrim’s Coordinator, Bob Moskowitz, and the Flatbush Jewish Community Coalition’s Chair, Josh Mehlman. “Bay Democrats’ mandate is to work hard to benefit our community. This means much more than simply electing candidates to office. Over the past four years we have dedicated our club’s resources to also helping organizations that directly serve our neighbors,” Ari Kagan explaned. “Tonight’s ceremony says thank you, the community appreciates your efforts, a job well done and Bay Democrats pledges to continue to work with you to make our community an even better place in which to live,” Kagan added. 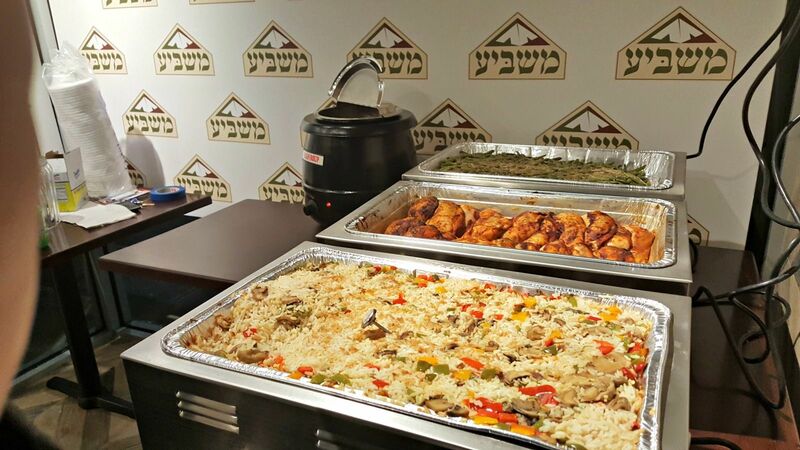 Over 50 community and club members participated in the ceremony enjoying a Kosher spread, prepared by Eat N’ Run Café, before the ceremony began.